Head coaches may come and go but Amber Shirey remains a fixture in Arkansas women’s basketball. Shirey has had many roles, from student assistant, graduate assistant, assistant coach and director of operations over the years. In 2014-15, Shirey returned to the role of director of basketball operations for the Razorbacks. In her position as Director of Operations, Shirey handles a variety of duties including scheduling, travel, budgets and recruiting. Shirey began her career at Arkansas as a player for the Razorbacks (1989-92) becoming the first women’s student-athlete selected to receive a NCAA Postgraduate Scholarship. She closed her career as one of two players in school history to rank on four career total lists (points, 6th; rebounds, 10th; steals, 2nd; assists, 1st). Twice named All-Southwest Conference, she was the MVP of the 1991 SWC tournament, leading Arkansas to the first non-Texas title. Shirey equaled her court performance in the classroom. A kinesiology major, she had over a 3.9 GPA, and twice was voted to the College Sports Information Directors of America’s Academic All-America Team. She was a three-time conference academic team member. Shirey graduated and went on to a student coaching role for one season before being named assistant coach, a position she held for 14 seasons with two different head coaches. 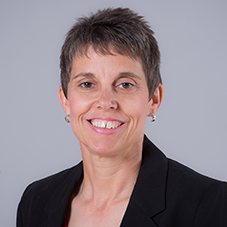 In 2007 Shirey redefined herself in a new role as executive director of operations, a position she held until returning to the sidelines as the Razorback assistant. The former Amber Nicholas is married to Jason Shirey. The Shireys have three children, a son, Ross, and daughters, Reese and Rheid.